Much talked about Property Restyling company, House Wow! are delighted with the reaction to their official launch event last week. House Wow! is a new & unique concept. It’s the first nationwide Property Styling service for people looking to speed up their house sales. House Wow! chose to take their home restyling company nationwide as a result of extensive research into the services currently on offer and it already looks as if their homework has paid off. House Wow! aim to create a fast affordable style difference to make a property more saleable than others on the street which has made them very popular with UK estate agents. House Wow! offer an initial assessment and advice with recommendations and full quotation in writing for just £95. Research has shown that Property Styling can reduce a listing's time on the market by half and could fetch as much as 10-15% more than a home not properly presented. A home that has been professionally restyled will lead the eye to attractive features while minimizing flaws giving vendors a distinct competitive advantage. Since a typical home buyer decides if they are attracted to a home or not in the first 8 seconds of seeing it, restyling is becoming a crucial part of selling a home quickly and for the most money possible by attracting the highest amount of potential buyers. House Wow! concentrate on styles that sell. Spaciousness and light often determine the success of a styled home. Typically, the larger a room appears, the better it will seem to homebuyers. Dark, tight spaces create a poor impression and may prevent the home from selling. Furniture layouts should create an impression of openness and comfort. Non-essential items should be removed to minimize crowding and clutter. Opening curtains and blinds to let in natural light and turning on interior and exterior lights at night are also simple but effective techniques. Carefully styled accessories complete the effect. Colour, texture & quality home wares add to the wow! factor & lifestyle image. This helps potential homebuyers feel an emotional attachment to a property that makes all the difference in making an offer to buy. 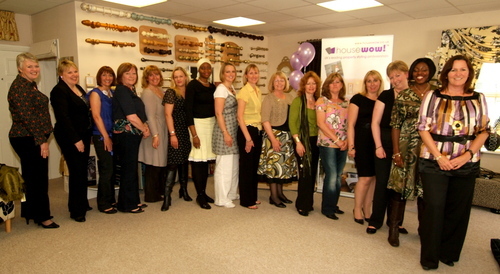 For further information about House Wow! please visit www.housewow.co.ukwhere you can view example before and after pictures. This press release was distributed by ResponseSource Press Release Wire on behalf of Thorburn Media in the following categories: Men's Interest, Home & Garden, Women's Interest & Beauty, Construction & Property, for more information visit https://pressreleasewire.responsesource.com/about.